I love walnuts! My mom loved to cook with them because they add flavor and crunch to any meal. Now I know that walnuts are also highly nutritious, so much so that I consider them a powerfood. 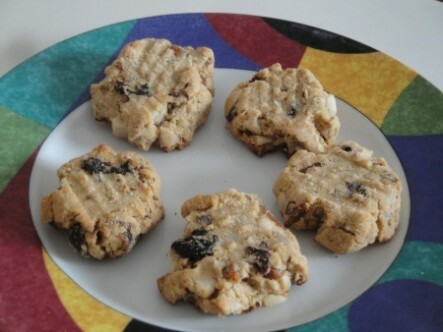 High in omega-3 fatty acids (just 1/4 cup provides 90.8 percent of the daily value). Filled with good protein (a single serving has more protein than one egg). Rich source of minerals (manganese, copper, potassium, calcium, iron, magnesium, zinc and selenium). Has no trans fats or cholesterol. Walnuts have some of the highest antioxidant content of all tree nuts. Are excellent for the heart and circulatory system. More effective than olive oil in countering the ill effects of high-fat foods (Barcelona, 2006). May lower cholesterol and decrease heart disease. The high alpha-linolenic acid content helps maintain the elasticity of the arteries, which aids circulation. In Chinese medicine, walnuts tonify the kidneys, strengthen the back, act as an astringent to the lungs, relieve asthma, lubricate the intestines and aid rebellious chi. Walnut Facts: Did You Know…? It would take 1,051,818,240 walnuts laid end to end to circle the equator. Walnuts are the oldest tree food known to humans, dating back to 7000 B.C. California produces two-thirds of the world’s walnuts. 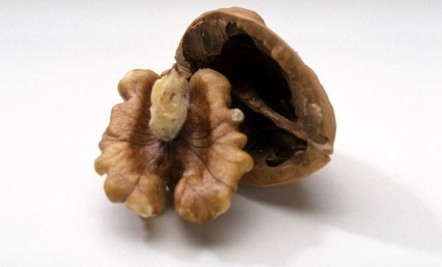 Walnuts are the easiest nut to crack. Some people can do so with their hands. Dr Oz says they are his favorite nut as long as they are soaked. Nuts are high in calories, so instead of just adding walnuts to your diet, use them to replace other high saturated foods. Limit your intake to 1.5 oz (about 20 walnut halves) per day. of eating bacon and eggs for breakfast, add walnuts as a protein to your oatmeal, breakfast cereal or yogurt. The best way to get the health benefits walnuts is to soak them; learn about Soaking Nuts and Seeds. This Power Spinach Salad has great texture because of the walnuts. Spinach is also a powerfood. My brother has a walnut tree in his garden and always shares them with us. Love walnuts.Interesting article thanks for sharing. Food for thought....and they taste great!! Didn't know they had so many health benefits!